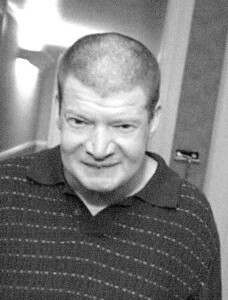 Granville, NY – Charles E. Reynolds, age 54, passed away suddenly on Monday, February 25, 2013. Charlie was born on October 25, 1958 in Granville, New York the son of the late Charles G. and Ada (Beebe) Reynolds. Charlie enjoyed playing Bingo, cards, particularly Pitch and pool. He lived with his sister Jane for most of his adult life. Charlie also loved bowling. He bowled in several leagues at Granville Lanes throughout the years. He loved riding his bicycle. He was always excited to go on family vacations. He was an avid fan of professional wrestling. Charlie loved his coffee. This Christmas he received a Wii game and played it every day. His real passion was fishing. He had a new fishing pole in anticipation of opening day. In addition to his parents Charlie was predeceased by two sisters: Linda Reynolds and Patricia Lawton. Survivors are two sisters: May Reynolds of Rutland, Vermont and Jane Reynolds of Granville. A funeral service will be held on Friday, March 1, 2013 at 6 PM at the Robert M King Funeral Home, 23 Church St. Granville, NY Friends may call from 4 until the time of the service. The service will be led by Rev. Kevin Gebo. A gathering will follow the funeral service at Granville Hook and Ladder, Quaker St., Granville, NY. Memorial contributions may be made in his memory to the American Diabetes Association, Washington Ave. Extension, Pine West Plaza, Building 2, Suite 204 Albany, NY 12205.